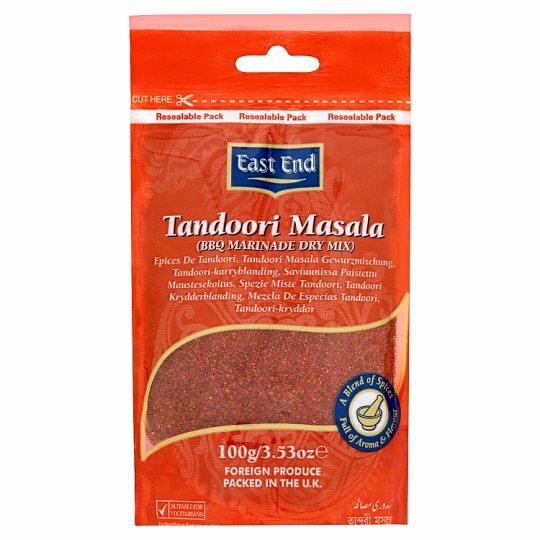 FOREIGN PRODUCE PACKED IN THE U.K.
To make Tandoori Marinade for 1kg Chicken, Lamb, Beef. Mix 80g Natural yoghurt with 9g of the dry mix, 8.5g vegetable oil. Blend into a smooth paste and use as a marinade for 2-3 hours before roasting.